The insect-repelling mesh netting on our Moskito camping hammocks brings a certain type of security — a bug-free night’s rest. What our netting doesn’t do is kill insects or provide any additional insect repellent.Many of you over the years have written in to ask us if our hammocks have been treated with any chemicals at the time they are made, and the answer is that they have not. Frankly, it’s not a practical solution that provides any additional benefit for the cost. Moreover, on the other side of the coin, not everybody is thrilled with the idea of us taking the decision of whether or not to use chemicals out of their hands. But we do have good news. Sawyer Products currently markets an insect repellent made of permethrin — a synthetic chemical most closely related to pyrethrum, which is taken from the Chrysanthemum flower. It is strong and durable, and it not only repels mosquitoes, ticks, mites and other bugs, but it also kills them. It has proven to be more effective than DEET, while being much safer for humans because it is not absorbed by the skin. Perhaps permethrin’s greatest asset is its longevity — one small application of permethrin to clothing, tents, hammocks or other gear lasts up to 40 days, even in direct sunlight, or through six wash cycles. It does an amazing job of keeping not just your hammock, but your entire area, mosquito-free. Permethrin Clothing and Gear Insect Repellent from Sawyer Products on Vimeo. 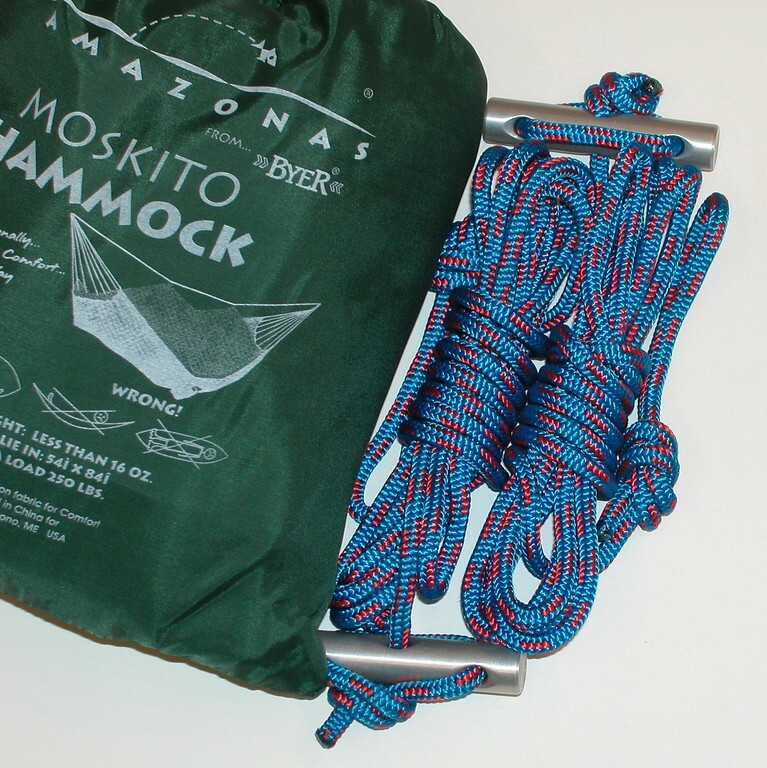 This entry was posted in Camp Furniture, Hammocks, Video and tagged Bug Netting, Byer of Maine, Hammock, Insect Repellent, MicroRope, Moskito, Permethrin, Sawyer Products by beckybyer. Bookmark the permalink.